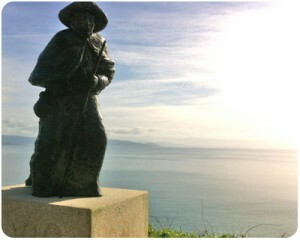 Living on the Camino we are blessed with hearing so many special stories that move and inspire. We heard of Luiza’s husband Garry and her son Stephen walking the camino in her honor and were touched deeply. This entry was posted in Acts Of Giving & Sharing, Camino Inspirations! and tagged camino, nature, outdoors, spirituality, The Way, traditions. Bookmark the permalink.